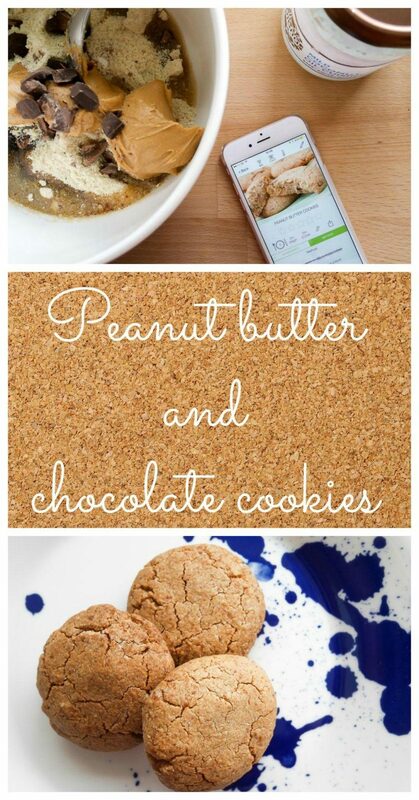 Peanut butter cookies – post in association with Salter Cook. Looking for a Salter discount code? Then read on! I really enjoy a spot of baking. I find it relaxing – weighing out the ingredients, following the instructions and, of course, eating the mixture from the bowl with my hands. Get all my ingredients out. Okay, 100g of flour? Excellent. Get to scales. How much flour was it again? Check in recipe. Forget something crucial and don’t discover it until the end. Every time I reach a new step, read through the whole recipe again to remember where I was. It’s a bit of a kerfuffle. What I really need is a helper. Someone to organise all my recipes for me, get the oven temperature sorted and tell the scales how much of everything I need so that I don’t have to remember. They could cross things off as I go through the recipe and then set a timer for me so I don’t get distracted looking at Instagram and burn my cookies. WELL HANG ON A MINUTE!! 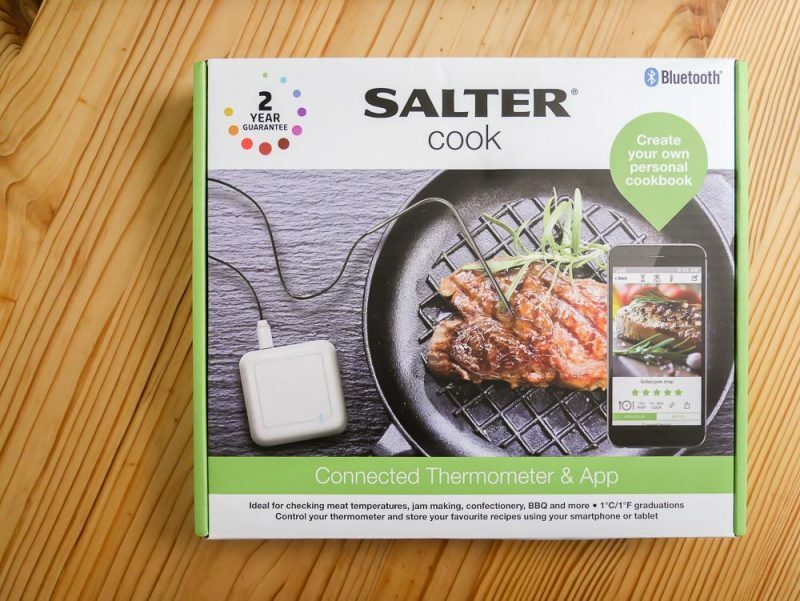 The Salter Cook app, pro bluetooth kitchen scale and bluetooth cooking thermometer do ALL OF THOSE THINGS! It’s like they were listening, and designed a range of products just for me. So, how does this genius system work? 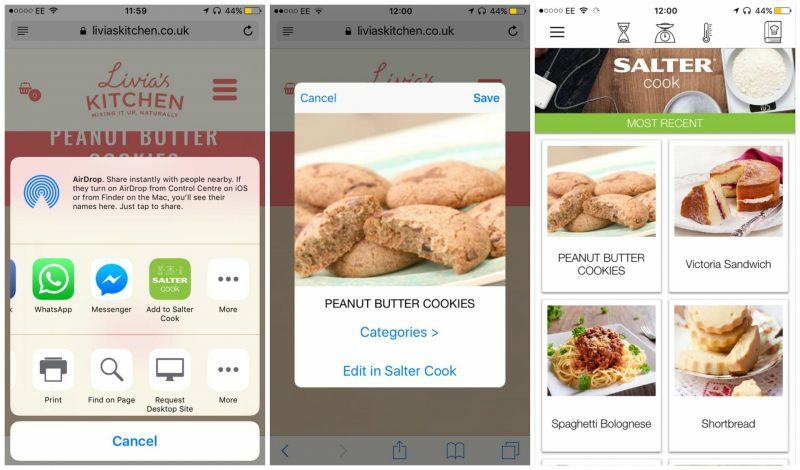 Well, first up you need to download the Salter Cook app, which you can get for iOS or Android. 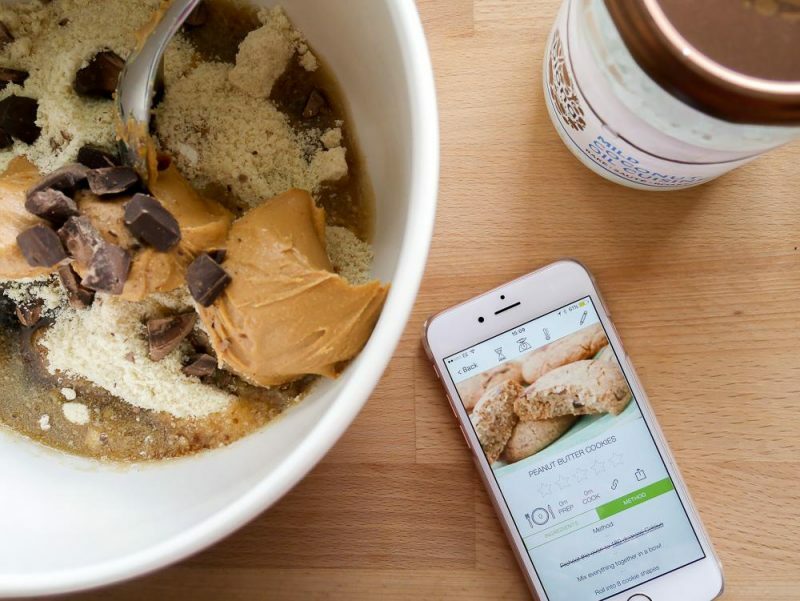 The app comes preloaded with a good range of recipes, which is handy given that according to research from Salter, 43% of mums resort to convenience foods, such as a takeaways, every week because they’ve run out of meal time inspiration. You can also import your own from external websites. I’m a big fan of Livia’s Kitchen for (relatively) guilt free treats so I had a browse on her website and found a recipe for peanut butter cookies. I love Olivia’s recipes as she uses ingredients I’d never normally think to include – stuff that’s tasty but has nutritional value too. Definitely one to check out if you’re among the third of mums who, according to the Salter research, struggle to include a variety of foods in the family diet despite feeling the pressure. Because let’s face it, there IS a lot of pressure on you as a parent, in just about everything you do, but especially food. I definitely feel the pressure as a mum to make sure that Belle gets a decent amount of fruit and veg in her diet for example, (which is hard when she gags at the sight of a courgette). Anything that helps to inspire my cooking and make things simpler for me in the kitchen has to be a good thing. So, how to import your peanut butter cookies recipe? Easy! 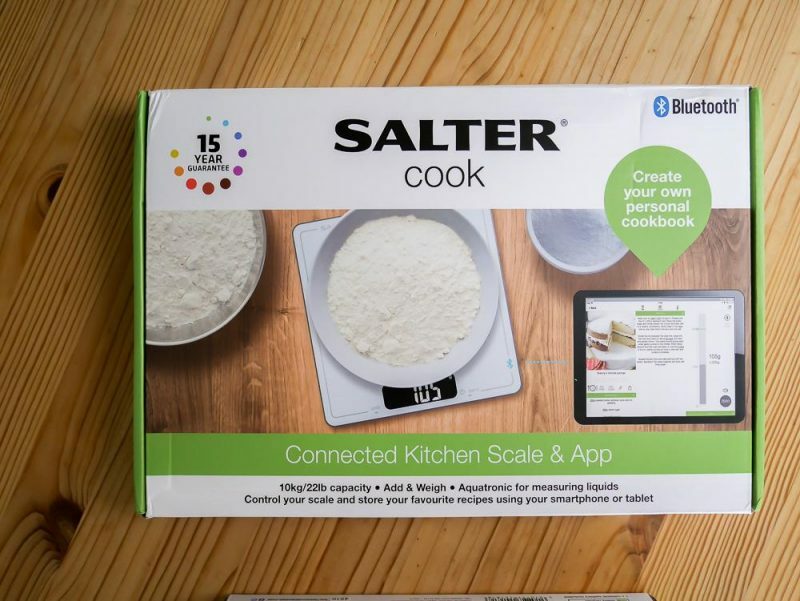 You press the little square with an arrow button at the bottom, as though you were going to share it, and instead you choose to send it to the Salter Cook app. (If it doesn’t show up first time as an option just click ‘more’ and switch it on – simples.) Then you have the option to categorise it, and save it. Then, as if by magic, it appears in your app! I have to admit that I was a little sceptical at this point about how the peanut butter cookies recipe was going to look once it was imported. I’ve tried doing this with recipes before on other programmes and they often could a bit muddled in the process, but this came out absolutely perfectly. You get a tab for your ingredients and one for your method, and you just touch items to cross them off as you go along. 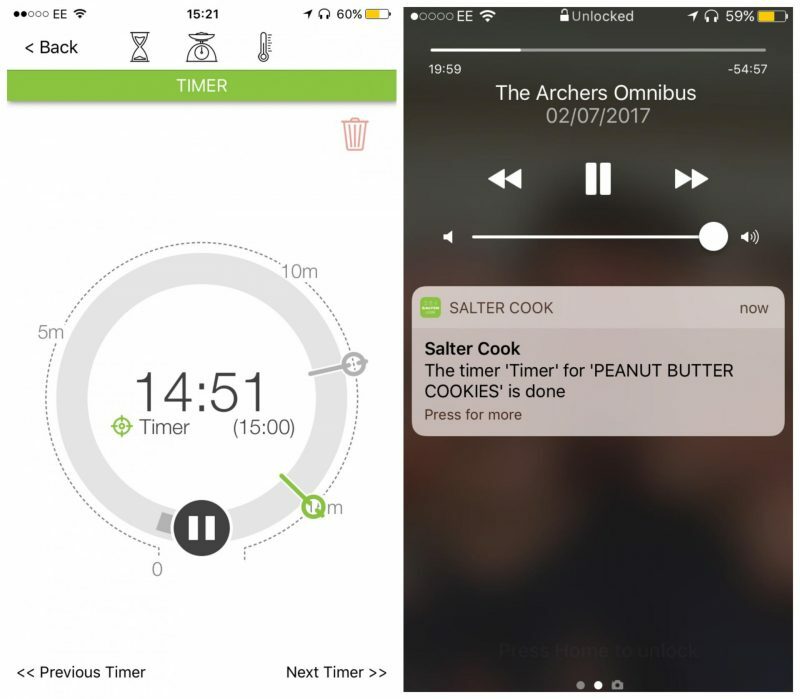 There’s a timer function too, so where it says ’15 mins’ underlined in the recipe, just press and hold this and it will set up a timer for you, so you don’t get too absorbed in catching up with The Archers. 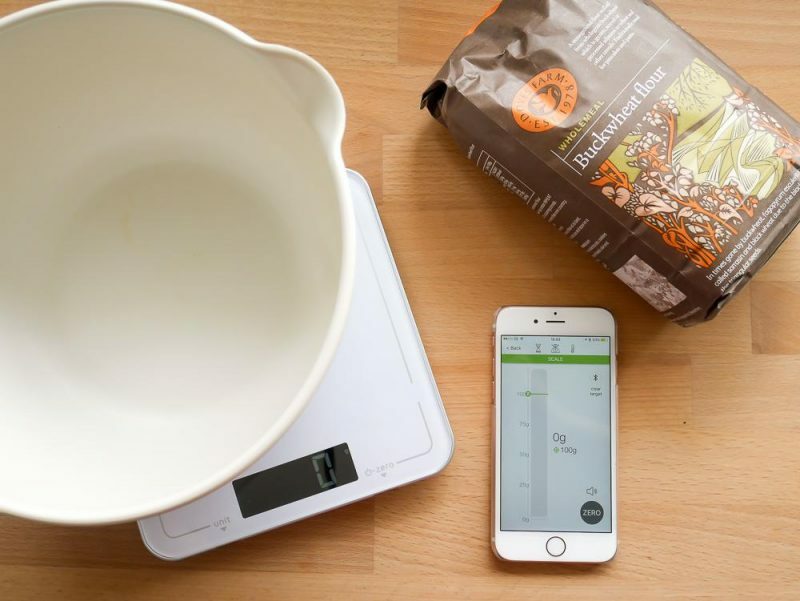 Although you can download and use the Salter Cook app on its own, if you want to crank your cooking up a notch you need to check out the Salter Cook pro bluetooth kitchen scale. It’s easy to connect to the app – just make sure your bluetooth is on, switch on the scale and hit the scale icon at the top of the app. Wherever you have a quantity in your recipe, you’ll see the amount is underlined. Press and hold this and the app will show you what looks a bit like one of those fundraising thermometers, ready to help you weigh out exactly what you need. The scales will automatically set the units for you too, which is very clever. When you’re done with each ingredient, go back to the recipe, cross off the one you’ve done, and weigh out the next one. You can hit ZERO on the app between each ingredient to refresh the scale. 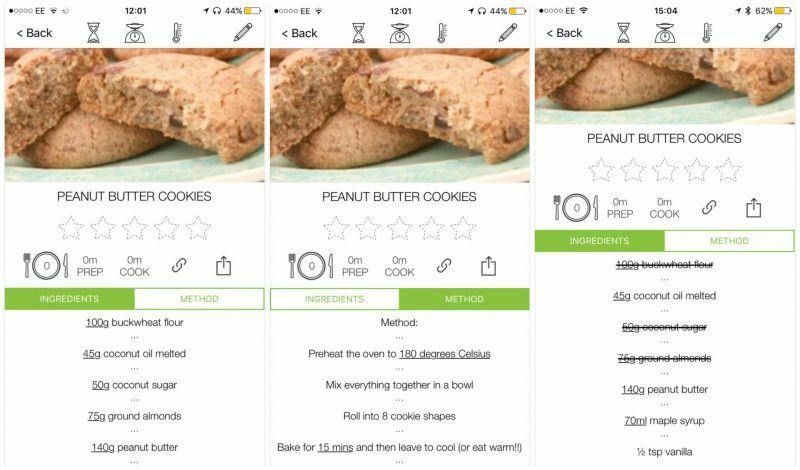 The app and kitchen scale work seamlessly together and definitely made the peanut butter cookie process much easier for me. I loved being able to cross things off as I went along, and never having to go back to my recipe to check amounts. The scale itself is sleek and stylish, and can be used on its own too. 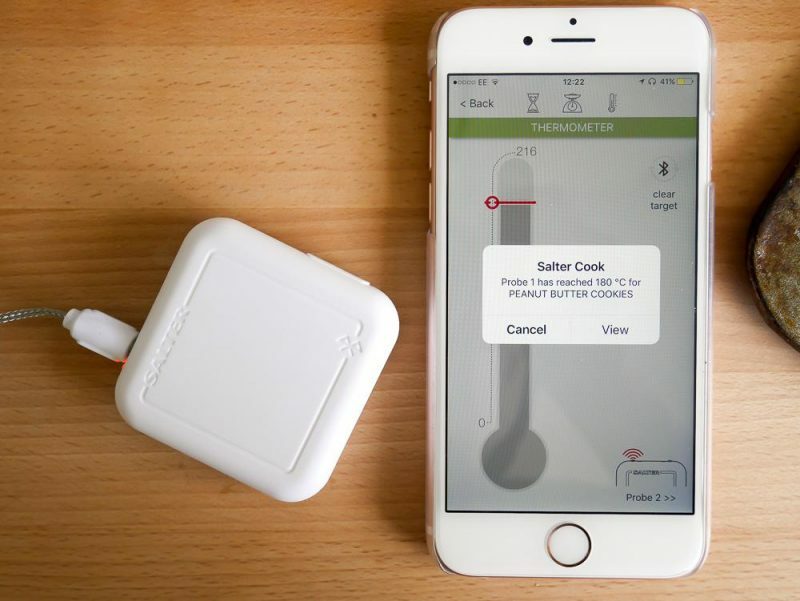 The second gadget that you can connect to your Salter Cook app is the bluetooth thermometer. Connect it up as with the scale by switching it on and clicking on the little thermometer symbol on the app. 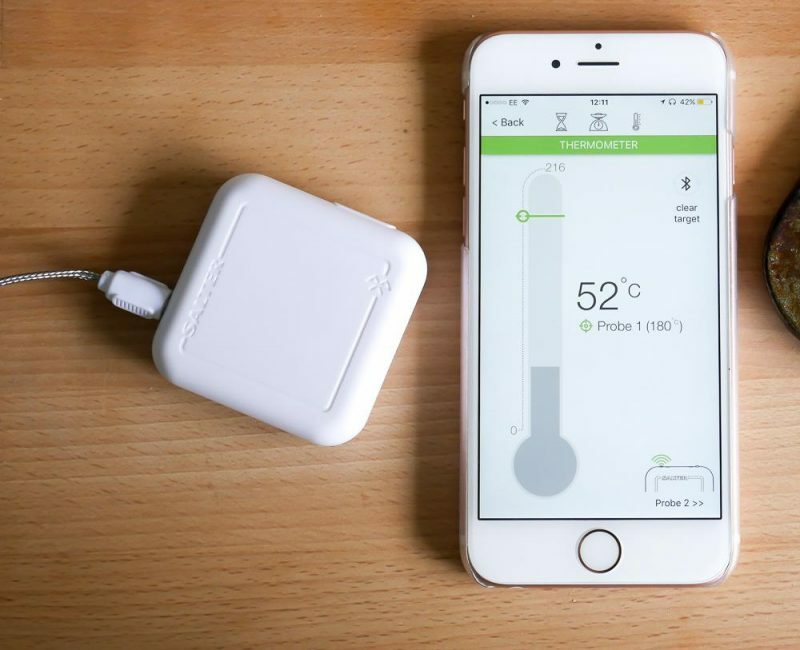 The Salter Cook bluetooth thermometer comes with two attachments. One is a probe, which you can stick into meat to check the core temperature – very handy if you’re cooking something like a roast chicken and want to make sure it’s cooked through. The second attachment goes into your oven and gives you an accurate oven temperature. This is handy for me in the new house as I’m not used to our new cooker and the temperature dial isn’t especially clear. If you want to make sure you’re at exactly the right temperature then this is very handy. To set the temperature, just press and hold the figure in your recipe. The scale and the thermometer are normally £79.99 and £49.99 respectively but you can buy them as a set for £99.99, saving £29.99. They’re available from Argos (after this Friday), John Lewis, Steamer Trading, Amazon & Salter Housewares. Inspired to do a spot of baking for yourself? You can now get 20% off ALL scales on the Salter website with my exclusive Salter discount code. Just enter the code SlummySingleMummy when you check out. They were very tasty thank you. Ooh here’s a perfect option for the summer holidays when we need to get a spot of baking in! They look YUMMY! This sounds amazing. My husband is a pretty keen cook and has just got himself an iPhone so I might get him the thermometer bit for his next present. (Baking is left to me – those cookies sound lovely). OOOH this is genius bake off here I come ! GET MY BOOK ON KINDLE NOW! I'm Jo - freelance writer and mum of two, living in Somerset. I have yet to get the hang of the whole 'having a blogging niche' thing, so expect random musings on everything from my teenage pregnancy experiences to car air fresheners. Do a search now if you like, they're both there.